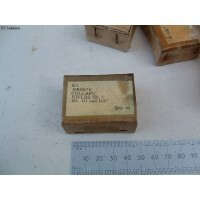 These are original, 'Tools, Removing Fouling, Mk1' for use with all .303" Bren Machine Guns. These w..
Thompson SMG Stamped Steel Screwdriver. These are original WW2 issue screwdrivers for Thompson SMG's.Stamped out from hot rolled steel sheet.. 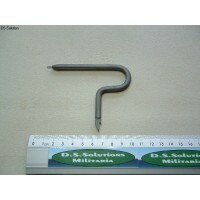 These are original FN produced tools for the removal and fitting of extractors from the metric FN FA.. 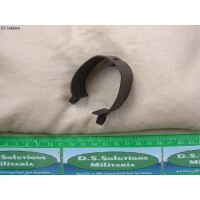 These are original Australian WW2 produced Inner Bands for the SMLE, Rifle No1 Mk III & III*. As.. 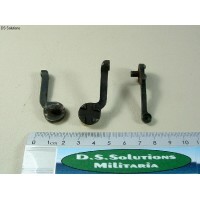 These are original 'Screws, Spring, Bolt Locking', for the SMLE, Rifle No1 Mk III & III*, or as .. 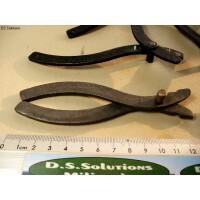 These are original Safety Catches ('Catch, Bolt Locking' in Army parlance) for the SMLE, Rifle No1 M.. These are original SMLE, Rifle No1 MkIII & III*, Springs, Bolt Locking, Mk2.These were approved ..
Christmas Closure Dates - And An Announcement! Please be aware that we will be CLOSED over the Christmas and New Year period from Friday 21st of December, 2018 until Monday 7th of January, 2019. Over this time the website will still operate as normal and you will be able to place orders as normal and pay for your items, however no orders will be posted out until Monday the 7th of January at the earliest, and the probability is that there will be a delay in getting some orders out whilst we clear the backlog. Please note also that over the closure period we will not be answering the telephone or replying to e-mail enquiries. We would be delighted to tell you that we are going to have a holiday, however in point of fact, no such luck! 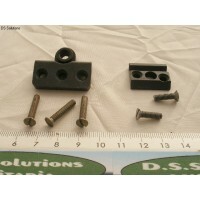 We aim to use the time to list new items on the DS Solutions website, and to re-organise the stock. We will also be relaunching DS Military Books with an entirely new and revised website, which we are very excited about! The new website should go 'live' during the first week of January, 2019. The new DS Military Books website will contain a hugely expanded and enhanced stock, and will be more 'user friendly' - especially to those of you who access the internet through devices other than desktop computers. We hope that you will like it. Lastly, John & Sue would like to thank you all for your custom in the last year, and wish all our customers, and visitors, a VERY MERRY CHRISTMAS and a HAPPY AND PROSPEROUS NEW YEAR! 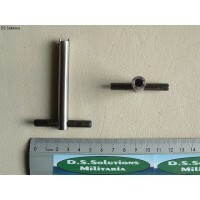 We have recently added to our stock in the form of reproduction Front Volley Sight Pointer Arms for the MkIII SMLE and reproduction SMLE Extractor Spring Tools, both of which are now live on the website. There are also a number of new items awaiting me to upload them to the website so keep an eye open for them over the next couple of weeks. 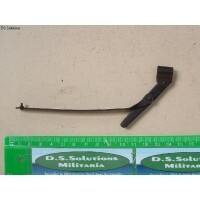 In our line of museum quality reproduction items we will be offering Vickers MMG spares box small parts tins and Front Volley Sight Pointer Arms for the .303" P'14 Rifles. 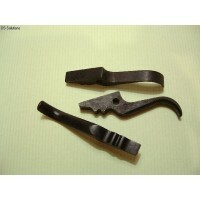 In original spares we will be offering Mk1 Bren Gun magazine opening covers and full sets of Mk3 foresight blades for the Bren Gun in addition to an increasing selection of other Bren spares recently acquired. 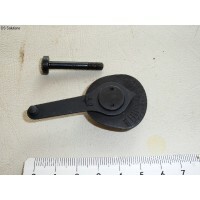 We will also be adding Mk2 Sten cocking handles to our Sten spares. Lots more items waiting for me to sort, photograph and describe, so keep checking back! Lastly, in an effort to make our books website (www.ds-militarybooks.com) somewhat more user friendly than it is now, we hope to completely upgrade the website in the next couple of months and get much more of our books stock online. I am looking forward to that (although not the hours of uploading for me that it involves!) and there will be further announcements on that as we make progress. WELCOME, to our all shiny and new website! We hope that you will be delighted with it and will soon be scooting around it and finding lots of new and interesting things within it's pages. Steve, our web-wizard chap, who has built this webshop for us (nice bloke with a disconcerting habit of wearing a big pointy hat with stars on it), assures us that the level of encryption and security of this new website is state of the art, as opposed to our last one which was getting to the stage of being just a 'state'. Not our fault I may add, just an old system that the 5 year olds that actually run the web couldn't be bothered to write new programs for any more. Unfortunately the knock on effect of this is that we are unable to directly transfer accounts across from the old website to this one! Consequently to log on to this website you will need to create a new account and password. Sorry about that but there is nothing that we can do about it. Please accept our apologies for any inconvenience. This website in addition to looking very different has a number of new features which we hope you will find useful. Articles; Click into Articles on the right of the top tool bar to see a range of guides and explanatory pieces writen by us to hopefully make life a little easier. (Any suggestions for further articles that you would like to see will always be given consideration, just let me know what you would like to see). The website is now optimised for use on a 'phone or tablet. Personally I have no idea what this means, but Steve tells me that it is a good thing so I will take his word on that. There are many additional features still to explore, and no doubt as I work out what they all are they will gradually appear - and most likely baffle me even more than I am now! Watch this space. 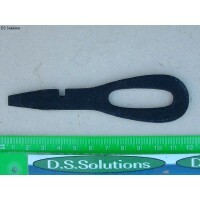 I hope that you enjoy the new website, and rummage around to find the new items added in the last few days. My apologies to anyone who has written in the last week or so and not had a response but I have been flat out finding my way around the new site and populating it with as much as I can ready for today's launch. I will endevour to catch up in the next week or so with any mail that I have missed. Lastly, although I have checked through as much as I can, there are bound to be things that I have missed or things that don't quite work as they should. If you come across such things then please hit the 'Contact Us' button at the bottom of the page and let me know and I will do my best to get it sorted straight away. 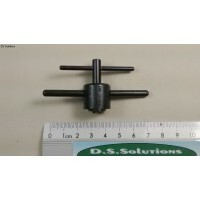 We are looking for Lee-Enfield spares, accessories and tools. If you have any of these surplus to your needs sitting around gathering dust why not speak to us about converting them into cash. 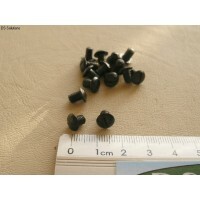 We are usually more interested in quantities than individual pieces, but anything will be considered. Please Contact Us and let us know what you have. The more detail you can give us the better, if you have part numbers better still. Please include how much you would like for your treasure, but be aware that we are buying to sell on and we do need to eat sometimes! 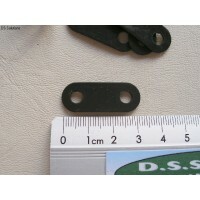 If you have other British or American spares, accessories or tools we will of course give these consideration as well if the deal makes sense. We now appear to have resolved our dispute with Pay-Pal and so business now resumes as normal (or near normal) for the forseeable future. You will note that our website now no longer contains any magazines or similar which will take more than 10 rounds. This restriction on our business has been imposed on us by Pay-Pal. Whilst we are forced to comply with this we would like to point out that we greatly resent this interferance with our legal business! To clarify matters, we do still sell magazines such as genuine WW2 M1 Carbine 15 round magazines and the 30 round 5.56mm 'E-Mag' by Mag-Pul, however we can no longer advertise these on our website or accept payment for them through Pay-Pal. If you require any magazine which holds more than 10 rounds please contact us by e-mail and we will be happy to furnish details of our products in this line and how we can be paid for them without upsetting any 3rd party. It is possible that further restrictions will be imposed on us in the future. 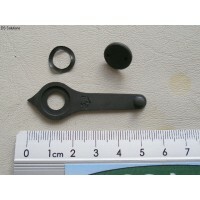 Despite asking clear and pertinant questions of Pay-Pal as to what they regard as acceptable, the best that they can give us is 'certain firearms parts'. If you can interpret that then you are clearly endowed with powers not granted to us mere mortals. 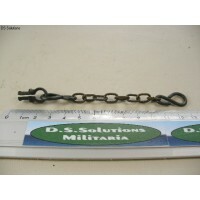 The transfer of all our books and paperwork to the new DS Military Books website is now completed. The transfer enables us to control these items better and also allows you to purchase using Debit & Credit Cards directly through the website without the rigmarole of having to go through Pay-Pal. Something that we cannot do on this website unfortunately due to the attitude of UK Banks to militaria! Our stock of specialist books continues to grow, so please pop across and browse what we have to offer. 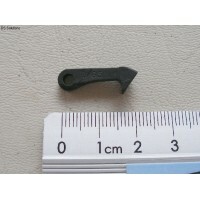 These are original rear peep sight apertures for P'14 Rifle long range volley sights.As originally p.. 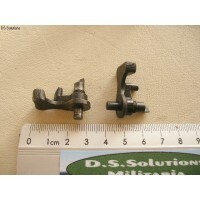 These are original unissued triggers for No.4 Rifles.They are for all Mks of No4 Rifle. These are al.. 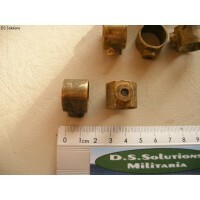 These are original hinged nosecap bands (also refered to as 'Bands, Upper' or 'front bands') for the..